Situated in a stunning mountainous setting in Hisaronu is the family-friendly Hisar Holiday Club resort. 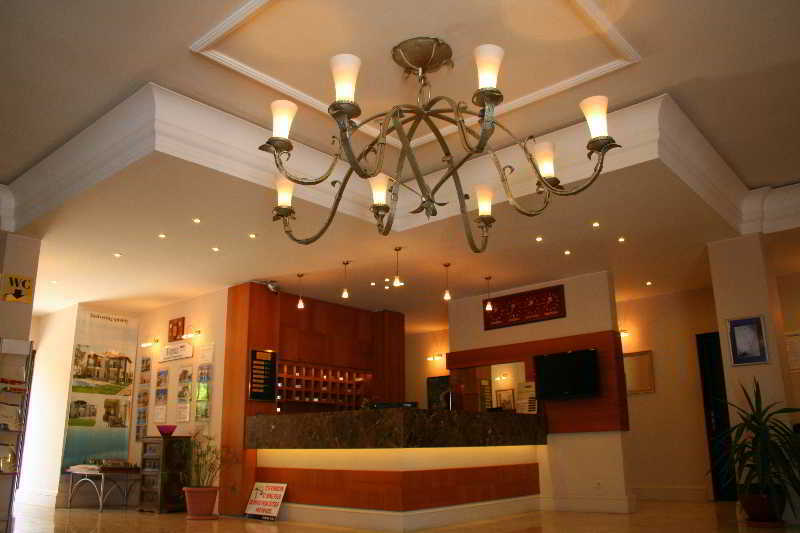 This recently-refurbished hotel offers a prime location, various dining options and excellent on-site facilities. Explore the surrounding area with ease on the local shuttle bus to Hisaronu and Fethiye. Relax and unwind by the swimming pool under the warm Turkish sunshine or treat yourself to a sauna or Turkish bath. Indulge in delicious cuisine at La Mediterranee and dine al fresco on the terrace taking in spectacular views across the resort. The Mandalina is the perfect place to socialise with friends and family, watch live sports and sip fruity cocktails. For a family-friendly getaway to Hisaronu stay at the Hisar Holiday Club. Guests staying at the Hisar Holiday Club can enjoy a multitude of on-site facilities. Hotel highlights include: large outdoor swimming pool, sun terrace with sun loungers and umbrellas, two restaurants, five bars, children's play area, Turkish bath, sauna, basketball, table tennis, garden chess, and billiards room. The 24-hour reception offers photography service, mini market, laundry and dry cleaning, internet corner, and Wi-Fi. 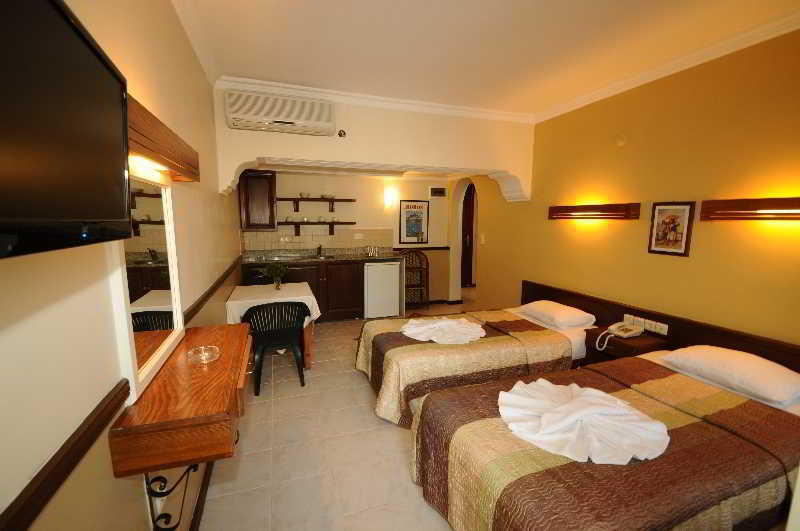 The Hisar Holiday Club offers a variety of guest rooms and studios to suit larger groups and families. As standard, all rooms feature: en-suite bathroom, furnished balcony or terrace, hairdryer, TV, air-conditioning, safe, telephone, tea and coffee making facilities, and seating area. La Mediterranee serves a wide variety of delicious foods and teamed with an extensive menu of fine wines from the cellar. The Mandalina restaurant offers light meals and snacks alongside a vibrant atmosphere and tasty cocktails. The Pool Bar serves hot and cold drinks throughout the day with snacks and sweet treats in the afternoon. 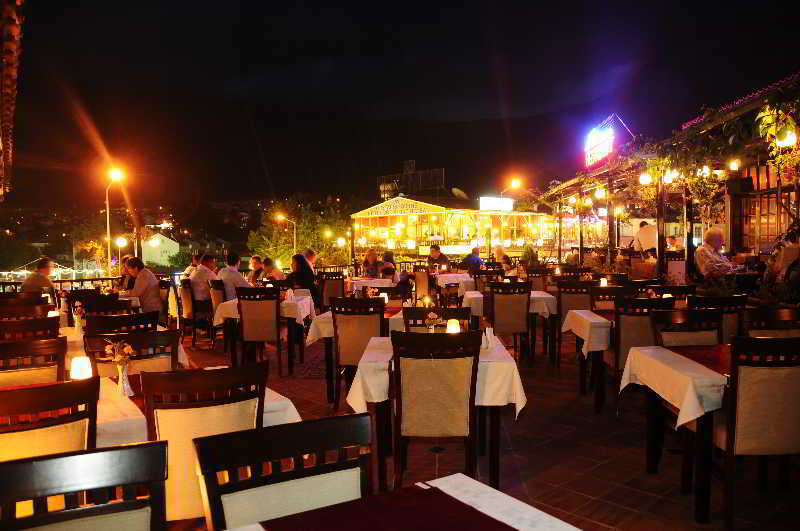 The Eski Bar and Garden is a popular nightlife spot in the resort with live karaoke and DJs. Bar Friday shows live sports and music performances regularly.